Keeping your valuables safe at home is important, whether it’s sensitive financial data, passports or property deeds. Valuables like cash or jewellery, are also an easy target for thieves. Thornhill Security offer a range of products which keep your possessions safe against theft and your home more resilient to unauthorised intrusion. Keyless digital locks provide quick easy entry to your house, without the hassle of keys. Access to these locking systems is via a touch screen entering a 4 to 12 digit pin code and assures peace of mind if you are prone to misplacing your keys. Digital locks are quick and easy to fit, being operated wirelessly using batteries means there are no unsightly wires – the code can be changed on a temporary basis, to allow access to other people when needed for example if you were on holiday and you needed to give your neighbour access for any reason. Installing a domestic safe is a cost effective way to protect your valuables from intruders in the event of a break-in or fire, our safes have cash ratings that start at £4,000 and are ideal for storing valuables such as jewellery, as well as cash. Crime statistics from the Office of National Statistics show there were 6.4million crimes against households and resident adults (aged 16 and over) in England and Wales for the year ending December 2015, with 713,000 of these incidents being domestic burglary. 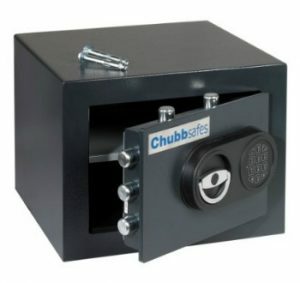 Our team will be on hand to help you choose and install the most suitable safe for your needs. Fire safes are designed to keep contents intact in the event of a fire, our safes are designed to retain an internal temperature of less than 177c, any temperature higher than this will see paper destroyed. 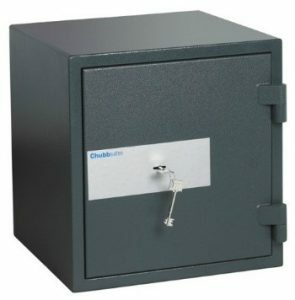 Our Fire Safes are ideal for storing passports, will deeds, tax records and any other sensitive documents. The fire resistance offered for our safes ranges from 30 minutes through to 120, meaning in the unfortunate event of a fire, your documents are more likely to be retrievable. Our Steel Security Doors provide an extra layer of protection for your home, unlike regular front doors; these robust doors cannot be forced open with simple tools such as crowbars. Our security doors can be used at the entrance points to your property, or to reinforce a room that holds items of significant value. 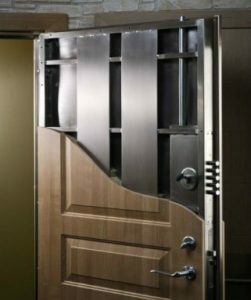 We stock and install doors from the best manufacturers such as Chubb, Robust and Shield featuring 12 point locking mechanisms and multi-lock systems. 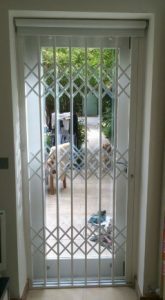 Security Grilles can be used on any door, window or garage as well as any internal door to gate off a specific room. Security Grilles provide a robust extra layer of protection, which can provide peace of mind for families or people living alone, the grilles are fully retractable and even whilst locked maintain adequate light levels. In the summertime, you may wish to leave your doors open to keep the breeze coming through, a security grille allows you to do this with the peace of mind that no unauthorised intruders will be able to enter. Additionally, our grilles can be customised to compliment the feel of any building. Need Help Safeguarding Your Home? Our team of security experts are at hand to advise you on the most suitable and practical security measures for your home. We can guide you through the process of securing your home from a selection of products through to delivery and installation; just give our friendly team a call on 0117 963 4994 or take a look at our domestic security guide for more information and advice.